Welsh magic: what’s behind the magnificent work taking place in arts with older people in Wales? David Cutler asks what makes Wales so rich in terms of creative ageing opportunities for its older people. I have been asking myself this question after participating in the excellent conference at the stunningly beautiful new Royal College of Music and Drama in Cardiff on 6th April. The conference was organised by the Arts Council Wales and Age Cymru with financial support from the Baring Foundation. It culminated with a strong endorsement from Ken Skates, the Cabinet Secretary for Economy and Infrastructure. The day showcased arts activity from the length and breadth of the country, but clearly showed that practitioners did not want to rest on their laurels but see how this could be improved. Wales has many treasures when it comes to arts and older people. Central to this is Gwanwyn, the month long creative ageing festival in May. Gwanwyn means ‘Spring’ in Welsh and renews the landscape each year. Run by Age Cymru since 2006 it reaches over 11,000 people in around 500 events. Gwanwyn gives grants to pump prime activity. It continually develops with local Gwanwyn year-round clubs as its latest manifestation. Photographer Michal Iwanowski mobilised people via social media to find this war-time grave for one elderly resident as part of cARTrefu’s carehome artist in residence project. Gwanwyn’s management by Age Cymru has meant that it is able to benefit from that organisation’s knowledge of the wider scene of older people’s work including their My Home Life programme of training for the improvement of care homes. This has very much helped the brilliant cARTrefu (meaning ‘to reside’ in Welsh) programme also based there and funded by the Arts Council Wales and ourselves. The programme works across four art forms (performing arts, visual arts, words and music), with an expert artist mentoring four others. cARTrefu has already placed artists in residence in around one quarter (122) of the care homes in Wales. This makes it one of the largest arts and dementia schemes in Europe. To take one moving example, one of the artists, the photographer Michal Iwanowski, has worked with residents to make their dreams to come true. 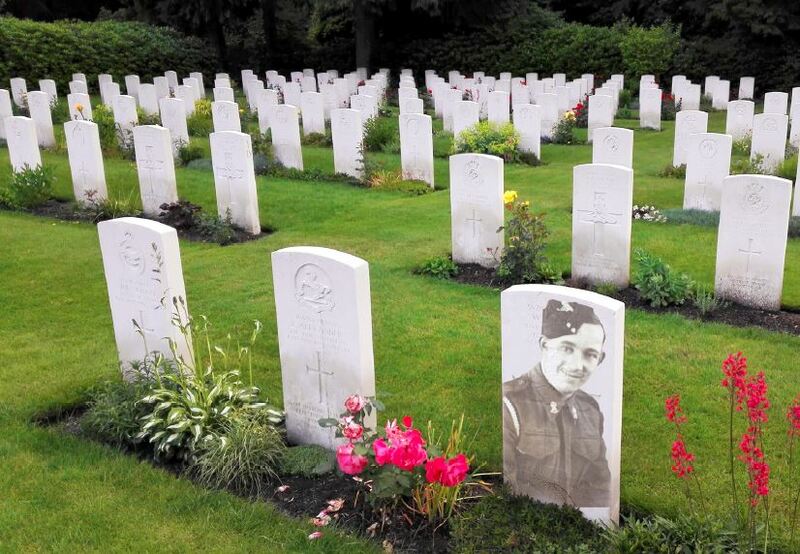 For one resident, this was identifying and photographing the grave of her first husband who died in Austria on the last day of the Second World War. Unable to visit the site and for many years silent about this loss to her second husband and family, the photograph taken by Michal has been deeply important to her. cARTrefu will run for another two years and an evaluation is about to the published by Bangor University. cARTrefu and the wide range of projects in Wales are captured in this short film. Last year, I had the pleasure of seeing two great theatre pieces the Foundation had the privilege of supporting. Re-live, run by Karin Diamond and Alison O’Connor, produced a powerful new play written by Karin called Belonging/Pethryn, which was developed from numerous interviews with people living with dementia and their carers. I went to a performance mainly attended by professionals working in social care, many of whom were struggling with tears by the end. It has toured wales and won several awards and is part of a growing body of work by the company with a focus on dementia. We also funded the National Theatre of Wales, which created a new play called Before I Leave which arose out of playwright, Patrick Jones’s encounter with a dementia choir in Methyr Tydfil. NTW worked with a number of dementia choirs on a new work piece called I’ll Sing this Song by Manic Street Preachers, Nicky Wire and James Dean Bradfield – there’s even an app! As elsewhere in the UK, theatres and other venues in Wales are beginning to programme dementia-friendly performances. There is also much to celebrate in the work being undertaken by local authorities, despite the immense pressures on resources in Wales as elsewhere. Denbighshire Council has been running the Lost in Arts project (with support from ACW) for over five years. Artists work with people living with dementia in a number of sites and with local primary schools. Partnerships between local primary schools and care organisations are also central to a Gwynedd Council project to tackle loneliness among older people in rural communities: Memories through Music – Connecting Generations is delivered by Canolfan Gerdd William Matthias Music Centre. So why is Wales winning an enviable reputation in participatory arts with older people? Clearly the collaboration of and leadership by the Arts Council Wales and Age Cymru has been crucial. It strikes me that key arts organisations and older people’s organisations are better networked, certainly than in England. This will only be improved by the launch of the Age Friendly Cultural Network, an initiative of Ageing Well in Wales and the National Museum Wales. Wales has some structural advantages, not only in scale but in innovations such as the creation of the officer of Older People’s Commissioner, combined with her clear appreciation that culture is a right for older people. New legislation, the Social Services and Wellbeing (Wales) Act 2014, is also offering new opportunities and these are being taken in a practical ways such as the Age-Friendly Communities Resource Hub. cARTrefu and other projects have demonstrated that there is a wealth of artists who see the creative potential and excitement of working with older people. The ambition of these projects is evident. We have wanted through our funding to instil an understanding of the value of arts for and by older people – among arts organisations, older people’s charities, the care home sector, and among artists and the community as a whole. The signs that this idea has taken a firm root in Wales look particularly promising. Spring time in Wales is glorious indeed. cARTrefu: a four-year programme to introduce high quality arts into care homes in Wales.